Whether you own a home or a business, you know it’s important to keep your property safe and secure. Business owners are not the only ones that need to worry about property safety. If you own a home in Seattle, here are a few important ways to keep your home secure. You should always keep your door and windows locked. These are common entry points for theft. During the warmer months, it’s tempting to leave your windows and doors open to let fresh air in. If you do this, remember to close and lock them before you leave the house or go to bed. It’s also important to make sure your locks are updated. If you’re not sure about the condition of your locks, call your local locksmith. They’ll come and test out your locks. 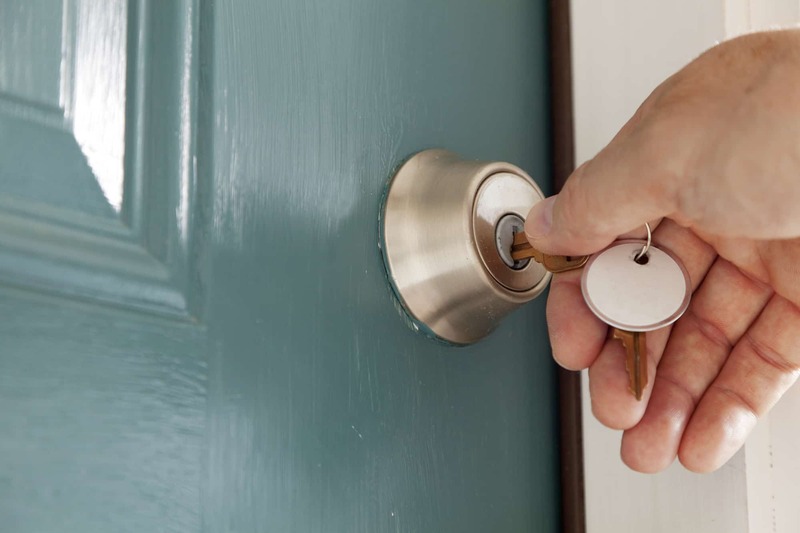 Installing a deadbolt is one of the best things you can do to keep your home secure. Most intruders enter through the front door. A deadbolt will decrease the risk of home break-ins. Your local locksmith can install one for you. If you own a home, you should have some type of security system that requires access control. Whether it’s a camera you install yourself or monthly monitoring service, this system will protect your home. Even the smallest security cameras can turn off potential intruders. There are security systems that are affordable for every homeowner. Make sure you choose a trusted brand you can count on to keep you and your home safe. Not all security cameras come as part of an entire system. You can buy a camera separately. With increased technology, you can buy a camera that syncs to your smartphone. This way you can keep an eye on your home when you’re away. Most theft occurs in the dark since intruders want to remain hidden. So, use that to your advantage and add some motion lights around your house. Place lights in the front and the back of your house. When it comes to buying a safe for your home, you don’t need something that will break the bank. Look at your budget and see what you can afford. It’s important to keep private documents and belongings secure from thieves as well as water and fire. If you buy a large safe, make sure you can bolt it to the floor. This way if intruders break in, they’ll have a hard time stealing the safe. Also, it’s best to hide it away where only you know where it is. Taking care of your lawn may not seem like a big deal in securing your home. When it comes to turning off intruders, landscaping is important. Tall grass and huge bushes are excellent hiding places for burglars. Get rid of those hiding places by keeping your lawn and bushes trimmed short. Keeping small bushes in front of windows turns off burglars but make sure you keep them trimmed. You don’t want to block entrances to your home but it’s okay to add a few bushes to away intruders. You can also add a few security signs to your lawn to let people know you have security protection for your home. There are so many ways you can keep your Seattle home secure. We hope these top ways help get you started on the process of securing your home. The team at Sevan Locks and Doors is also available to answer your questions and give you advice about home security. You can call us anytime. We look forward to helping you.